Usersnap is a digital product building platform, building solutions from development to customer service. Usersnap makes tracking bugs easy and helps you report bugs where they happen: in your browser. No need to switch to a bug reporting application or ask users to fill out forms. With Asana and Usernap integration you can track bugs to projects to help you stay even more organized. Every time a bug report or feedback is created on your website or web app, you’ll receive annotated screenshots along with additional device information to the related Asana project. 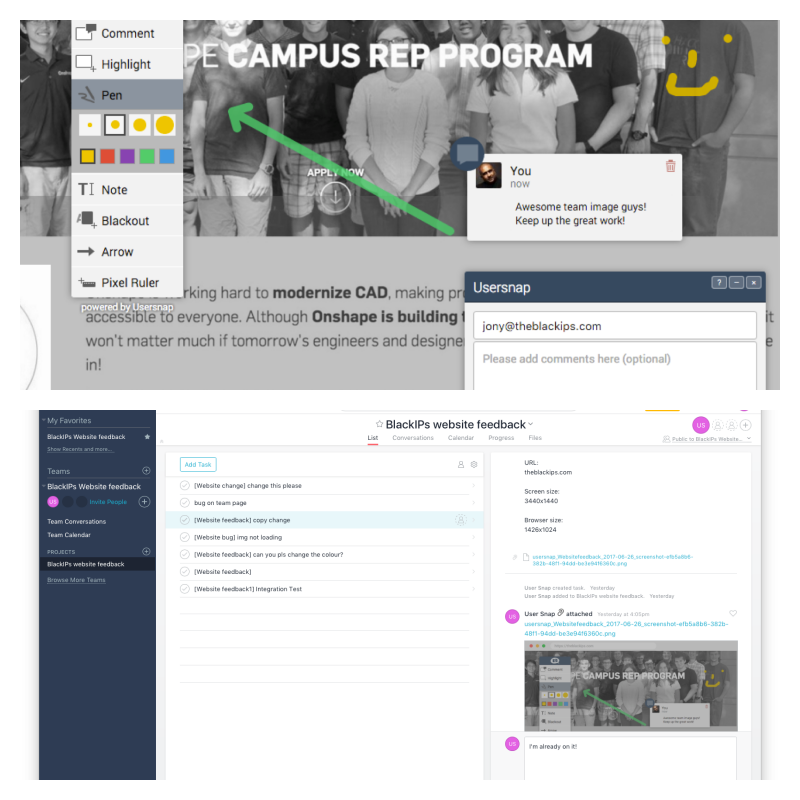 Learn more on Usersnap’s Asana page or contact Usersnap for help.